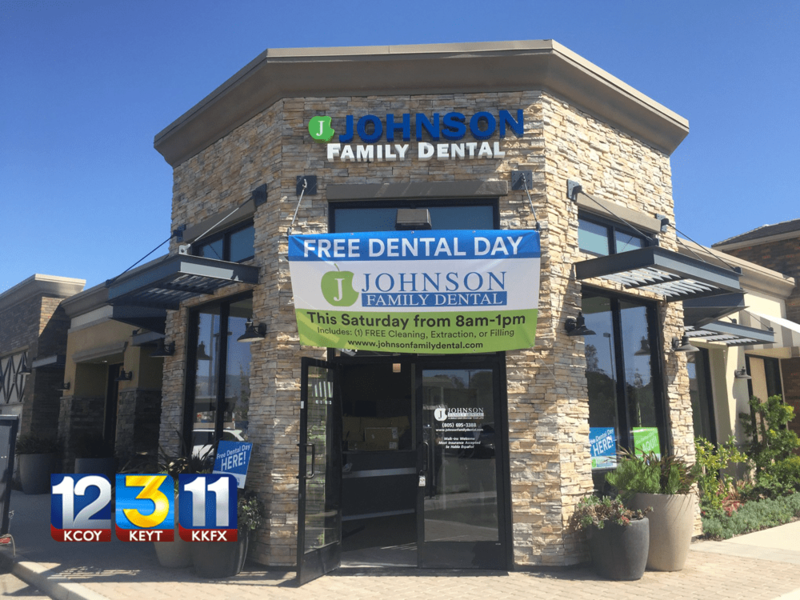 GOLETA, Calif. – The newest clinic for Johnson Family Dental Center, in Goleta, drew 97 residents for an annual free dental day Saturday. It’s the 15th year for the event hosted by the dental group that also has offices in Santa Barbara, Solvang, Ventura County and Monday it will be opening in San Luis Obispo. Dr. Steve Johnson and his staff were on hand for cleanings, tooth extractions, evaluations and tours of the new facility located in the Hollister Village shopping center. Along with the dental day, the Sansum Diabetes Research Institute also did a diabetes screening for the visitors to the building. Several other businesses, including area restaurants joined in the special day with discounts and promotions in the area. Overall the work donated to help the patients who stopped by equaled an estimated $30,000. Johnson Family Dental has provided dental care for over 55 years, and its patient based showed a need for services in the Goleta Valley where the new site was opened.